Hanes says knowledge is key. Florida paralegal graduate Jennifer Hanes has the unique legal experience of saving her own home from foreclosure, an accomplishment she hopes will help her stand out from other entry-level job seekers. But as it is in much of the rest of the country, the competition for jobs in Fort Myers is fierce, and Hanes has not been able to locate her first job since graduating in December 2010 from the ABA-approved paralegal studies program at Edison State College. Hanes is the latest job seeker featured in “The Great Jobs Project,” a series created by The News-Press to highlight the resumes of southwest Floridians looking for work. While raising three teenage daughters, Jennifer Hanes dived in to a crash course in foreclosure, working 8 or 10 hours a day to learn the statutes and court procedures. She sat in on court hearings and dug through case law, applying what she learned to her own case. Eventually, the foreclosure proceedings against her were dismissed without prejudice, meaning the mortgage holder may refile. 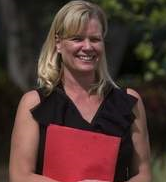 Hanes told The News-Press she’d love to find a job in foreclosure defense. She’s poised and articulate in the video showcase included with the article, and her willingness to learn would be an asset in any specialty area. Practical Paralegalism wishes Jennifer the best of success in her job search, and hopes her hard work and perseverance pays off in the form of that first legal job soon.